Today it comes to the issuesnatural and 5free nail polishes, as well as my storage for that. I have been intensively me with this subject lately and what I have found out so, I would like to share with friends today. :) In this article, I will answer frequently asked questions on the topic. Thanks to the inquisitive tried it out community for the suggestion! Is there 100% natural Nail Polish? Which brands offer 5free nail polish? How do I find out which paints are otherwise still 5free? 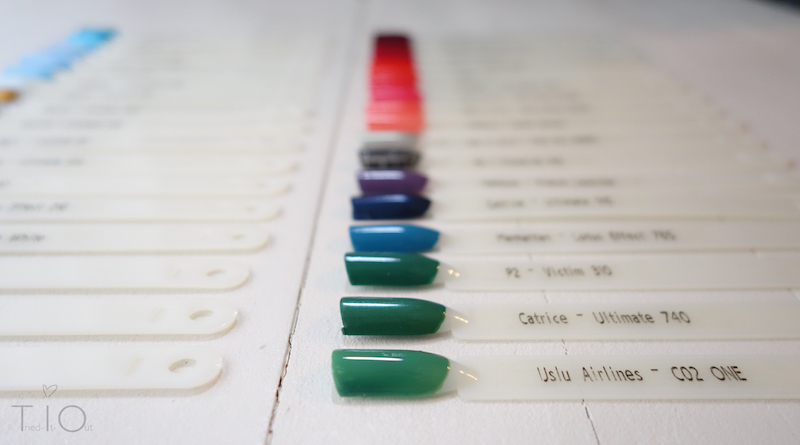 Do you have a list of 5free coatings of nail polish companies? Are there any natural nail polish remover? What 5free nail polishes do you own and how you keep them on? Since last year there by Logona a completely natural, even certified organic Nail Polish. It is based on shellac and is therefore not vegan. In addition the range currently comprises five colors as well as a glossy coating for excess, Since the coatings inherently have a semi matte finish. You cost each 15€ and need to be removed from the nail the Logona nail polish remover. To do this you will find reviews for the Alabastermädchen, Makeup love or Woman wuselig. 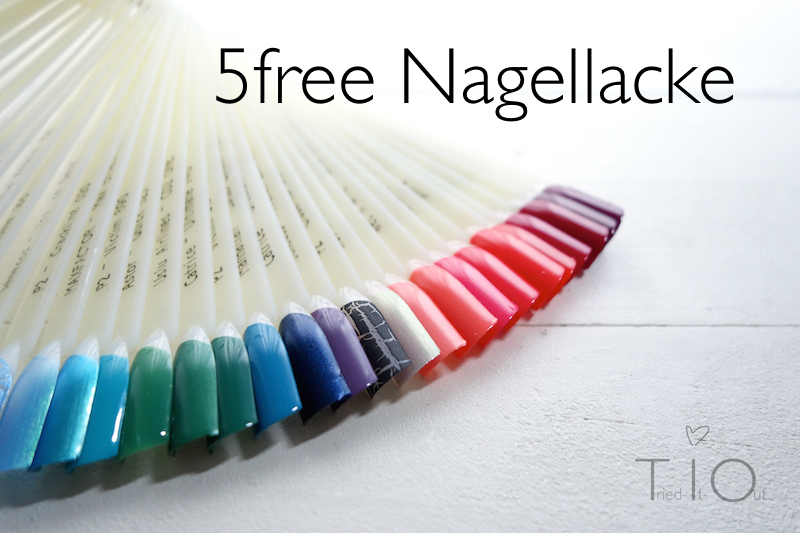 The Term “5free” is used in connection with nail polish. If a paint “5free” is, then in this product not five toxic and classified as dangerous substances. There is also the term “3free”, in which just three toxic substances are not included. Formaldehyde is suspected to be carcinogenic and may cause many allergies and respiratory diseases. It is toxic even in small concentrations. More e.g.. here. Phthalates are plasticizers, which are damaging the genetic material and to make due to the similarity to hormones also barren suspected. 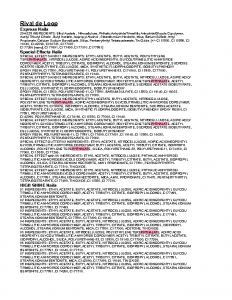 In the European Union dibutyl phthalate is already in Baby- prohibited and children's toys. 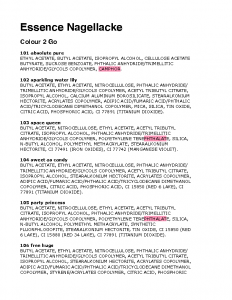 Some manufacturers advertise with 5free, no DBP (Dibutylphtalat) included, some close even the whole class of phthalates from. Personally, I agree to the stricter definition and avoid even nail polish with other phthalates, I personally just this classifies as dangerous. More information about phthalates, check here and here. Toulol allowed only in nail polish, Not to be used in other cosmetics. It is a solvent, which trigger nerve damage, can make barren and lead to allergies. Formaldehyde resins can cause eczema and are to be harmful suspected, similar to formaldehyde. Camphor is actually a natural remedy, which against muscle- and respiratory symptoms is used in small doses, as it improves circulation and expectorant and on the central nervous system. It can also be produced synthetically, and has some side effects, as shortness of breath or nausea, In addition, there can be confusion. In high doses it is highly toxic. Since it is only used in small amounts, I classify it as personally not so bad a, as the other substances, nevertheless I avoid it rather. Rosin is a natural resin, which can trigger asthma and allergies and it may be formed in contact dermatitis. In addition, the vapor is harmful. 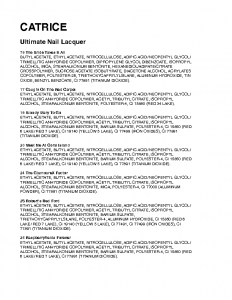 Course for the cosmetics always approximate and you will none of these substances in lethal concentration in nail polish find, However, I would personally not have in my nail polish these ingredients. The designation “7free” often includes another, that the coatings are produced on animals and are vegan. Benecos (7free) – Free of toluene, Campher, Phthalate, Formaldehyde, vegan and not tested on animals! 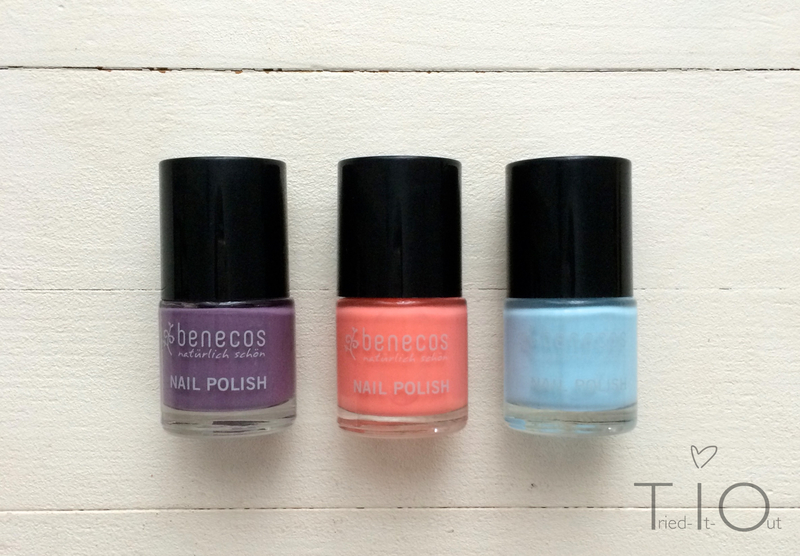 Benecos is a natural cosmetics company, manufactures which 5free varnishes. 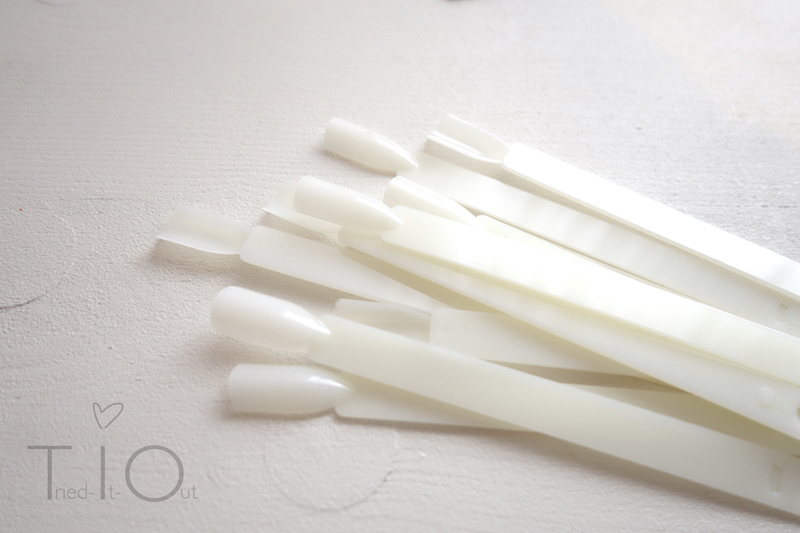 Nailberry – Free of formaldehyde, Formaldehyde resins, Dibutylphthalat (DBP), Toluene and camphor and Cruelty Free. Unknown whether phthalate-free. 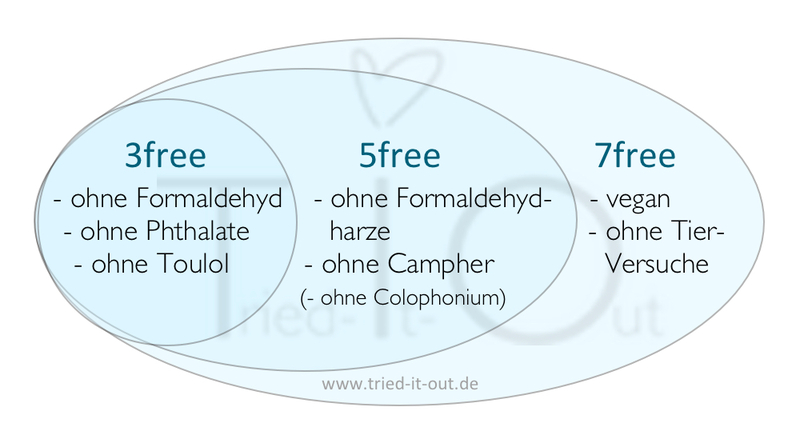 100% Pure (7free) – Free of formaldehyde, Toluene, DBP, Campher, Formaldehyde resins, Xylenen, Parabens, Dufstoffen, Dibutylphtalat, animal materials (Thank you Nicole for reporting :)) – But Beware! in some paints I have in the INCI list Phthalate found, So I would call them rather than 4free. Couleur Caramel (7free) – The coatings are tested on animals and contain vegan and according to the manufacturer none of the above substances. Company 5free marked with paints usually pay more on the ingredients, where the nail polishes e.g.. are water-based or based on nitrocellulose, This is true, however, also apply to some drug-paints. Spa Rituals and Scotch Naturals were earlier this year even strongly criticized, as in the supposedly natural paints Contaminants have been found. There was a similar incident a few years ago when the brand SANTE nail polishes, now the problem is resolved (s. here). 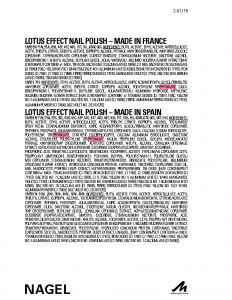 There is also in the drugstore masse varnishes, the 5free are, are not marked as such. To find out, simply you need only a Look at the ingredients throw! Bake the cupcakes at older paints, whose ingredients you no longer find on the counters or on the Internet, help you most of Customer Service further, read best an e-mail. 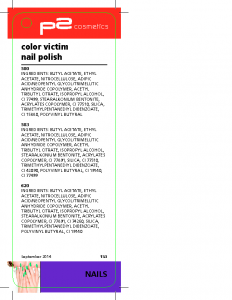 In most cases, you get the INCI list, simply grab all ingredients in a word processor and a search in the nail polishes according to the abovementioned substances. So you can create a short list of your nail polishes yourself. And. To assist you a little, I have already asked many nail polish companies, if I could get and publish the ingredient lists of nail polishes, so you can use the Listen z.B. upload to your smartphone and look in the business, if your desired nail polish is 5free. These lists are not only aware of the paints Listings, the 5free are, but also the whole ingredient lists. This includes all substances of concern highlighted above. Thus, if a part of the ingredients of a paint marked in red, he is after my (stricter something) Not criteria (!) 5free. Nevertheless, you can decide for yourself in this way, if you want to do without, for example, only to dibutyl phthalates or to all and see exactly, on which ingredient it is, I classifies the paint than not 5free. Edit: Caution, in Safari on the iPhone, the marks are not displayed, if you do, however, imported in iBooks, likely to fold it. For other wireless devices may also lead to difficulties. To test I have ever given a mark among the list, so you can see, if perhaps the red marks are displayed at all! By clicking on it, will reach you to the PDF file, in which the “not 5free varnishes” marked. If I get even provided more lists, I will add here and you on Facebook, Twitter, Instagram & Co. keep you posted. Of course, All statements without guarantee! It may be from time to time, that I have overlooked a substance, Sometimes I had the ingredients separately from the website copy, What a very nice job and was in the running can always go wrong. If you look at absolute 100% want to be sure, then go the INCI's your desired paint just once more even by looking at the bar or by. I hope, that these lists you are a help anyway. Unfortunately, I can here not list all the brands, because some have no list or. have not yet responded to my request and I have not the time to photograph the INCI booklets in the store and digitize. And! Not only from a brand, but by many, these are then usually also NaTrue or BDIH certified. For example, I have nail polish remover of the brand SANTE (about. 6€) and the brand Terra Naturi (about. 3€) tested and was very pleased with both. 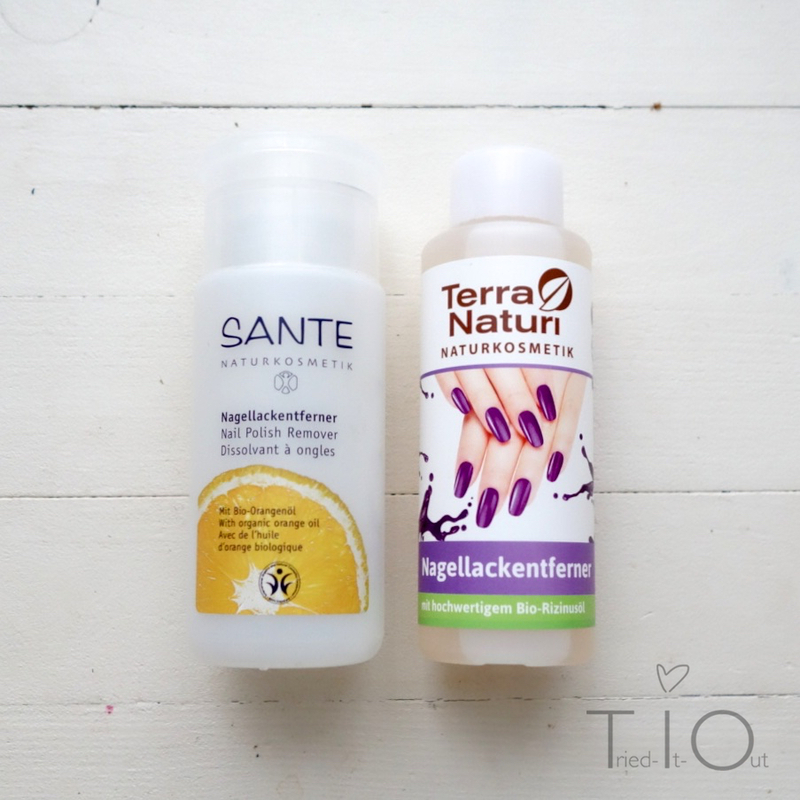 Nail polish remover of SANTE and Terra Naturi, both natural and certified with the BDIH seal. Other brands, the natural nail polish remover for example are offering. Fresh Therapies orBenecos. I used to be a real Nagellack-Junkie (and very well known for), so my cosmetic Love began in the first place to. When converting to natural cosmetics are they all migrated in a large cardboard box, I was firmly convinced, that the paints were full of toxic substances. Later I discovered 5free Lacke and asked me, if not some of my paints could be 5free. Eventually, I took the time, wrote to the company and asked as to the ingredients of the old varnish and see, after sorting out remained almost half of paints, I can now use without concerns continue. To my surprise, hardly nail polish had dried, which are now. the, which were no longer usable, were almost completely empty. Such nail compartments there are e.g.. on Amazon or Ebay. They consist of a long screw, a mother and (in my case) 50 Plastic nails. 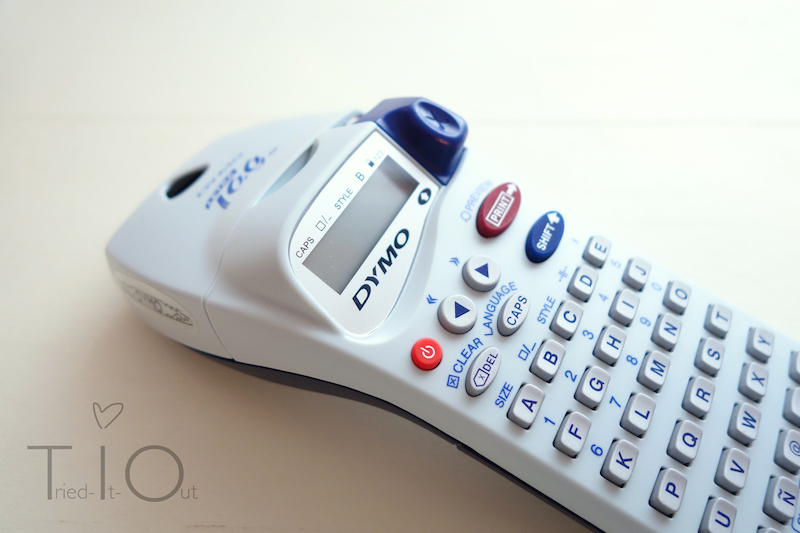 To label I have my Dymo label maker used with transparent tape. You just have to paint only the plastic nails with your nail polishes. I have two layers used, because otherwise I always twice paintshop to achieve a high opacity. In addition I have but does not use a clear coat. The great thing about the plastic nails? They are easy recoating again with nail polish remover, they must not be thrown away, if the paint is used up, but can easily get a new coat of paint! Even then all lettered and completed! Paintshop best next to an open window, because with so much paint smell is very intense. 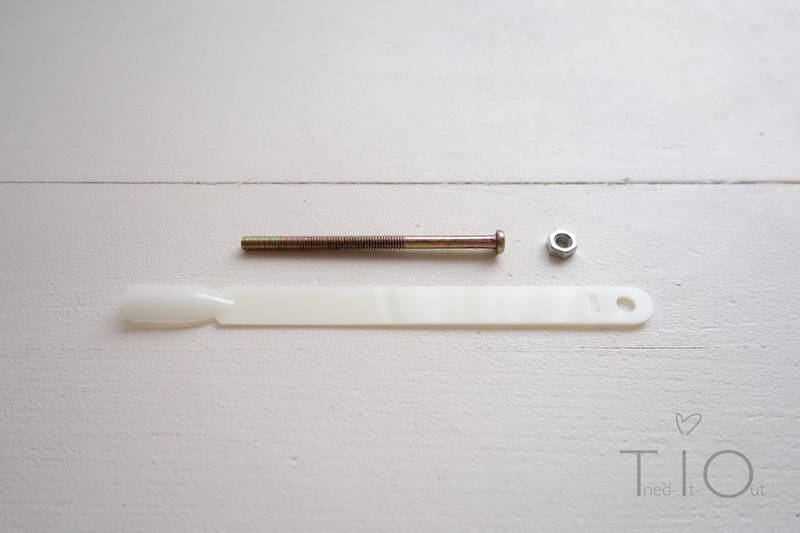 Subsequently, the individual Threaded plastic nails on the bolt, naturally sorted by color with me :). That is also the great advantage over nail wheels, because so can compare similar paints not so well together. When subjects a new paint can easily be threaded in between. I even some plastic nails left, my subjects are not yet fully! How do you like this idea to keep track to? How do you keep your nail polish on? What you watch when buying nail polish? benecos INCI lists are available electronically and can be copied well in their online shop. I ask myself, What is actually not certifiable where… Must compare again! That's right, Yes the lists to find out, are the finishes 5free, the question is already answered at Benecos, Since the brand only 5free coatings manufactures, that's why I made no Benecos list ;). Oh interesting, the Logona lacquer dissolves from castor oil, which paint is present in the Terra Naturi as well as in the Santé, Therefore, this works well :). Probably all NK removers contain castor oil, is so exciting that Shellack, and so leave! Thanks for the Info. Hey Anna, I'm trying to create a new list coming soon, Yes but a lot of new products are added in the meantime! :) Liebe Grüße! Thank you very much for your effort and this great overview! For some time I have painted my nails all the time and no thought to the ingredients used. This has changed now. by 100% Pure I have a previously unused Nail Polish here. The “normal” by Benecos I would like to test soon. I have still some of Sally Hansen and IsaDora here, the I me again geneauer will see. Willingly! :) Agreed, 100% Pure manufactures Nail Polish also 5free, Thanks for the tip, I will just add that :). I use the nail building serum against brittle nails alverde and out and again a nail oil. Also, I paint the nails with lacquer, When I notice, they can break easily, because I like the Rival de Loop like nail professional, while I paint not only the top of the nail, but the front “Tip” of the nail, so the thin end, so he cancels front not so easy and is virtually sealed :). The plastic nails are really funny. Luckily, my nail polish collection is quite small, I sort of like an overview. I believe, that Kiko produced also 5free nail polishes. I had recently found on their Web site and the following is under the normal paints: “Nail lacquer contains no abrasive additives such as toluene, Camphor, DBP and formaldehyde.” But rather a 4free Nail Polish. Over the years, pretty much Nail Polish has accumulated, I gave properly get :) Oh, thank you, there I'll find out times! And, I also find, you get cheap and good paints :). Currently, I use only the nail polishes from Benecos. You are okay, vl for the price even top. They stand only a day without chipping. I wanted to test that actually from Logona, but they're not vegan :( (have I learned through your post) – pretty bad. Thanks for the tip with 100% Pure. I'll look at necessarily this me. Thanks for your tips! With the painting of topsy turvy I try out that. I have just one (very cheap ;)) Nail Spa by Alterra bought - with mango and caffeine. Willingly, It helps me very well :). Where I sneak also always pass, have made me but firm, they only want to buy, If my alverde nail Spa is empty :). Wow, with the INCI list you made yourself so lots of work – Respect and thank you! I'll download them to me at the earliest opportunity on the Smartphone and even match my paints. I would have for my paints in our first, shared apartment also like a shelf, but my better half is unfortunately little thrilled… Naja, just remain in the boxes, You can worship also the Swatchsticks. My look by the way just like yours :) However, I have me 100 send and just a few left ^. ^. 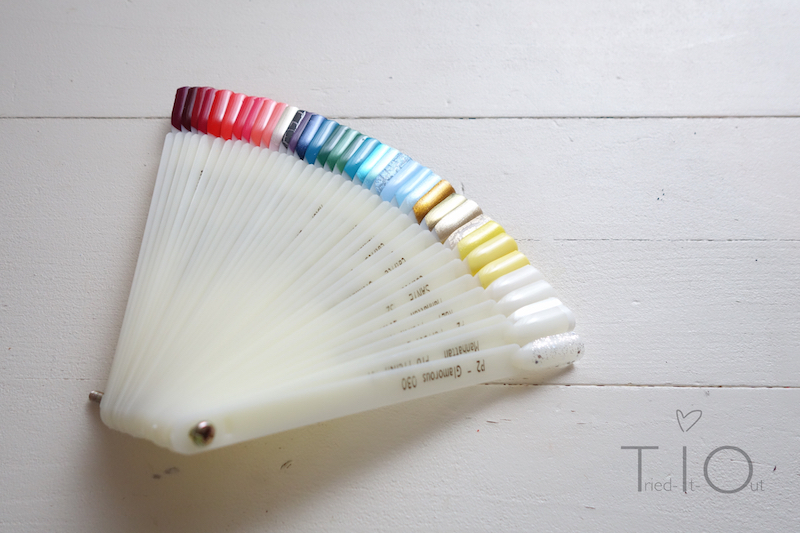 Great post, I have recently drawn Nail Polish in my Bloggewinnspiel a Benecos, I myself used still don't. I keep my nail polishes in two shelves made of wood, one is uncoated, and one is painted light blue. Love Julia, at this point I must say, that's is how much effort you put in your blog posts and photos unbelievable! Thanks a lot for this (: …as I pressed myself so far before to check my nail polishes on harmful ingredients your article is just right, Once again to remind me (: . Just the collection of ingredients by their INCI names is very good, because so I can look directly (: . I have very many nail polishes, that I keep in so a wood IKEA-mini dresser with several drawers x.) …Since I have already since childhood with nail biting problems ( -.- ) I regularly wear Ngalellack, because he keeps me from (: . One of my favorite paints, Ruby pumps by China glaze, is probably 3-free, but I don't know exactly, whether these are all China glaze coatings. Otherwise I'm wearing much Essie and Sally Hansen and must finally look, so what course where x.) ! I would like to get soon a natural Nail Polish remove me, also my current favorite, the pink ebelin nail polish remover acetone free seems to to be safe (: . Liebe Grüße. Make that super happy! That's very clever of you, the idea is great! :) I will look this and if they are all 3free, top supplement :). And, You can buy just a natural, If you're coming to a, I have the Miller around the corner to the happiness, Since I find both the nail polish remover from Sante, as well as the Terra Naturi :). Thank you for all the work, that you made friends. I have long wanted to sort out my paints and finally I did it.. I keep the nail polishes in a drawer, so a nail wheel is really handy.. you forget you somehow, What colors do you have. The brand ' ncla Los Angeles’ is also 5 free Nail Polish here. Have I ordered from Amazingy. 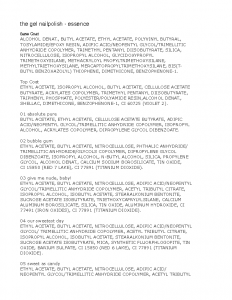 Without formaldehyde, DBP, Toluene, Camphor, It says animal testing. Wow, love Julia! Because you fucked out again a super comprehensive post. Incredibly great! Thank you very much for this. A great theme. I looked yesterday directly times, what paints I find in your lists, Here stand around. I found about half. I'll check the other times still. I like the nail polishes from Benecos at the moment. I need while two layers of it and an excess paint, this lasts longer than a day, but I really like the colors. And so the paint keeps me ca. 4-5 Days. I think oddly always, that is there really not much to say and certainly only a few lines are and if I then wrote down everything, what I think is important, have I typed again half a novel -.-. All the better to know, that that what I write but reads :). Then I am happy, that I could make a bit lighter half of the work you, It was similar to, because half of my paints was pretty old, and I had to write to the company extra. I like also very much the Benecos coatings, I use, just like you, an excess paint, so he long :). Hello, great compilation. Thank you for this! How does it nail polishes and those of Korres because with the Santé? Have seen on ever friends? 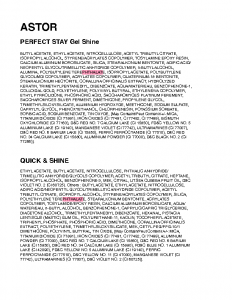 So I've looked for Korres, INCI offers a list of nail varnishes do not unfortunately the brand, on the homepage, but is: Without mineral oil, PROPYLEGLYCOL, ETHANOLAMINE, PARABENS, SILICONES, ACETONE, PHTHALATES, FORMALDEHYDE, CAMPHOR, TOLUENE, XYLENE. They are thus at least 4free, If they understand also the Formaldehydharze by formaldehyde even 5free, I type but rather on 4free :). Thank you very much for your effort and this great overview! A lot of, many thanks! It is in PHTHALIC ANHYDRIDE also a phthalate? not directly, because you referred to as phthalate esters of phthalic acid. Phthalic acid would be Phthalatsäure, from which arise with different alcohols phthalates. Phthalic anhydride is an anhydride of phthalic acid, It is created when water separation. So it's no phthalate, but it arises from the same source material: of phthalic acid. Thank you very much for the detailed answer! If I understand that I can use so coatings with this ingredient? Yes exactly, the substance does not belong to the Group of phthalates and is therefore neither 5 :). Thank you! :) You must download iBooks and then open the document, and then type, now would have to top right “Open with…” emerge. It just click and select iBooks :). HM, I've installed iBooks on your mobile phone. Thought, that it should work somehow so and was surprised me, because it didn't work. Will trying again. Are Essie nail polishes 5 free? Unfortunately, one can not generally say the, because the ingredients of lacquer to paint are different. Zudemm I have the ingredients of paints unfortunately can not find, So you'd have the ingredients of a Essie lacquer to the fabrics Browse Top, If you have already bought it or buy want. :) Liebe Grüße! Another brand is Provida Organics. You have also a patented Nail Polish series LIVING NAILS. Am am considering, If I try it. Does anyone have experience there? Hi Julia, S-he Stylezone DM looks actually quite ok, better than catrice (aluminium) and def better than essence, or am I wrong here, is also cruelty free. What are you saying? Hello dear Steffi, This is unfortunately generally hard to say, because one have to look every single paint ingredients there now, According to the principle above you can check it, Maybe I'm doing it also soon a 5free list :). Very much like! I also once cleaned up the whole conventional paint and I was pleased, that some bottles were allowed to remain :). Love SINA, glad and sorry about the late reply. Looks good! You need to search just the list above for the names :) Liebe Grüße! My nails are very dry and I am of the opinion, it comes from the many pollutants in the nail polish, which are now. Unterlack. That's why I'm looking for a Groove filler 5- or 7 free. do have a tip for me randomly? Hi Claudia! Phone, Good question, Since I myself rarely use base coat, I have unfortunately no product, I could recommend friends. Maybe you could look simply times up there in the list, If you can find a base coat, or but a natural shellac varnish, wie z.B. use as a base coat of Alterra, I have not tried but also still and don't know therefore, how well this is good as a base, This could be rather difficult just as deep groove filler. Liebe Grüße! MANHATTAN:Are the load&Shine of Manhanhattan coatings in the rectangular vessels auch5 free? I wanted to thank you even,because it has helped me very, and I do without anymore on Nail Polish and 5 free to use.